The economics behind trade and budget imbalances applied to the Eurozone crisis. In my last post I argued that fiscal profligacy is too highly stressed as an underlying cause to the Eurozone crisis. Rather, deep rooted differences in productivity and competitiveness have resulted in divergent trade balances and public finance disaster zones. Why have trade imbalances contributed to a government debt crisis? What does a single currency have to do with it? Let’s see…. Many Eurozone countries’ budget deficits are astronomical, incomprehensibly large. Despite all the hype, they aren’t necessarily shrinking. 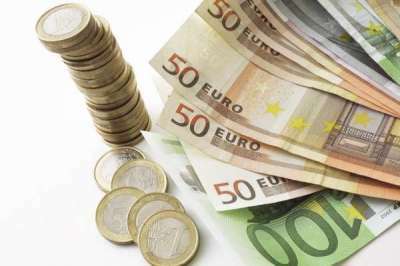 The Greek budget deficit continued to widen throughout 2011, growing to €20.52bn in the first 11 months of 2011 (a 5.5% year-on-year increase), as did Ireland’s, widening to €24.9bn in 2011 from €18.7bn in 2010. Further, it’s not just the problematic PIGS creating trouble: Belgium, Malta, Cyprus, Hungary and Poland are all waiting to hear if they face EU financial penalties to punish for the poor state of their public finances. Trade figures highlight significant imbalances between Eurozone countries in the run up to the crisis. To talk of a common European trade experience is grossly misleading. The pattern of imbalances across the Eurozone in the period running up to the crisis was dominated by a few outlier countries: Ireland, Italy and Greece on the ‘negative’ front and Germany and the Netherlands on the ‘positive’ (see a relevant IMF paper here). Helping to convey the power of German export machine, the WTO estimated the value of German exports at $1.334tn in 2010, placing them second in the world behind China. This is more than double the value of UK exports and 60 times larger than those of Greeks. (See the following graph from this FT article and this IMF analysis for more data and graphs). Trade imbalances correctly identify the countries at the heart of the Eurozone crisis. Estonia, Portugal, Greece, Spain, Ireland and Italy had the largest trade deficits over the period 1999-2007. High trade deficits going along with dreadful public finances. A coincidence? No. Exploring the economics behind trade and budget imbalances highlights that the two are intimately related. In the global economy, countries interact via trade in goods and saving/borrowing. The “current account” records the net effect of a country’s international trade, constituted of goods and transfer payments. More often than not, commentators simply refer to ‘trade balances’, which don’t incorporate transfer payments. Exports feature as positives, and imports as negatives in these accounts. Thus, a trade deficit denotes a situation where the value of a country’s imports exceeds that of its exports. The “capital account” records the net effect of international financial flows. Foreign investment, purchases of domestic assets and foreign loans to a country all feature as positives; they represent flows of money into the national economy. Conversely, domestic investment into foreign markets and loans made by domestic institutions abroad features as negatives, representing flows of money out of a country. Thus, a capital account surplus refers to a situation where there is a net flow of funds into a country. By definition, the balances of the two accounts are inversely related. Given a particular level of total output, any trade deficit must be reflected in inflows of money from outside the country (borrowing basically) to fund that deficit. This is shown most easily by exploring the national accounting framework in a bit of detail. It involves a few equations but there’ll be no more after this, promise! Total spending in the economy (Y) is made up of what we, consumers, spend (C), investment (I), government spending (G), foreign spending on our goods, i.e. exports (X) minus what is spent on foreign goods, i.e. imports (M). Thus, imagine we have a current account deficit, then the capital account balance must be positive, i.e. foreign funds must be flowing into the economy to fund that deficit. How does the exchange rate fit into all this? Take a step back from the Eurozone, to a country like the UK, which has its own currency. The current and capital account balances measure, respectively, the demand for, and supply of, domestic currency. Take a current account surplus. Foreigners must acquire £s to pay for all the UK exports they are buying. The current account balance is therefore negatively related to the exchange rate. The exchange rate gives the relative ‘price’ of currencies. A depreciated currency (think cheap) boosts exports and limits imports, making for a more positive current account balance. The negative of the capital account gives the supply of a currency. A capital account deficit represents a situation where money is leaving a country to be invested abroad. To be invested abroad, these funds need to be transferred into the relevant foreign currency. Thus, domestic currency must be supplied to the market in exchange for foreign currency. So, for a country with its own currency, the net balances of the current and capital accounts determine the net demand and supply of currency and therefore the exchange rate at which its currency trades. How can the build up of large trade deficits cause government finances to go awry? Imagine some country, getting along pretty well by today’s standards, without a government or trade deficit: taxes are just sufficient to cover government spending, and the value of imports equals that of exports. Oh, imagine such a country! Then, the world changes. Other countries fall into recession, reducing their demand for our country’s exports. Assuming our demand for imports is unchanged, this would cause a trade deficit to develop: exports are now lower than imports. (Alternatively, one could think of imports rising relative to exports if, for example, another country starts producing higher quality goods or invents a new products highly demanded by our own citizens). Unless something changes, this widening of the trade balance will hit total demand in the economy resulting in lower national output and higher unemployment. To prevent this, or at last cushion the blow, the government could prop the economy up by running a budget deficit, pumping money into the economy to make up for the loss of exports, borrowing from abroad to fund this build up of debt (capital account surplus). Thus, a trade deficit can prompt a budget deficit, financed by borrowing from abroad. If a country has its own currency, exchange rate movements can also occur to stabilize the economy, reducing the extent to which a government has to get embroiled in the situation. A trade deficit implies a fall in demand for domestic currency and thus one would expect an exchange rate depreciation to follow. This depreciation makes exports cheaper, boosting their demand, helping to close the trade gap and support domestic demand and employment. As stated above, it’s those Eurozone countries that ran sizable trade deficits in the years running up to the crisis who have seen their government debt explode. There are significant asymmetries in productivity growth across the Eurozone. German real wage growth (wage growth adjusted for inflation) has been much lower than the Eurozone average. In fact, it fell by approximately 20% relative to the Eurozone average in the period 1994-2009. As a result, the labour cost of output rose by a much less in Germany, 5.8% for the period 2000-09, than in its trading partners (equivalent labour costs in Ireland, Spain, Greece and Italy rose by roughly 30% in the same period). Production costs in ultra-efficient Germany are, therefore, much lower than those of its peers. The Euro accentuated Germany’s competitive advantage. 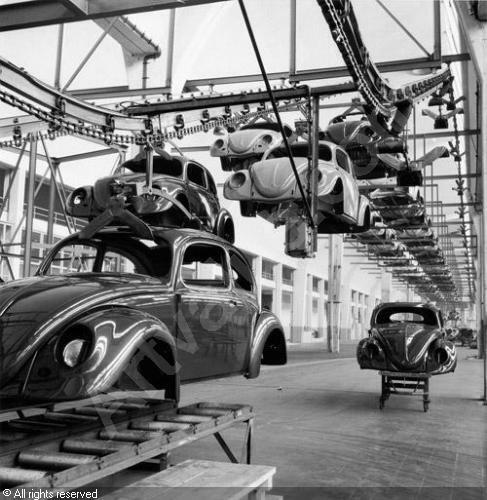 All Eurozone countries trade in the same currency but German goods are cheaper to produce, hurting domestic industries in the other countries that cannot hope to compete with these cheap exports. The trade balances of Eurozone countries have thus been following divergent trajectories: the German trade balance shooting up to the stars, while those of the Club Med descended further into the murky depths of the underworld. As explained above, trade deficits imply that foreign funds must be flowing into a country and this is what we have observed. The majority of Eurozone governments’ debt is held by nonresidents. In fact, banks and financial institutions in the advanced European economies financed a large part of the build up of debt in the periphery as noted by Blanchard and Giavazzi (2002). BusinessWeek notes that German banks are on the hook for at least $250bn in troubled Eurozone nations’ bonds. If each country had its own currency, trade deficits and excessive foreign borrowing witnessed would have put pressure on the exchange rate, helping to restore the export-import and borrow-lend balances between European states. For example, we would have expected to see the Greek drachma fall in value relative to the German Deutsche Mark, effectively raising the cost of German goods and helping to rebalance the European economy. This has not happened, allowing imbalances to get out of control and the single currency has also eliminated stabilization mechanisms which would have provided additional routes, other than higher government spending, to prop up the economy. Thus, although financial mismanagement and recklessness have had parts to play in the Eurozone crisis, fundamental structural imbalances between Eurozone economies lie at the center of the mess. The singular prescription of harsh fiscal discipline thus does not hit at the heart of the matter. Not even the stomach. Adjustment on the part of creditor nations is also required. At present there is nothing to temper the onset of austerity across Europe. All adjustment is being forced through by depression and default. This is far from efficient. 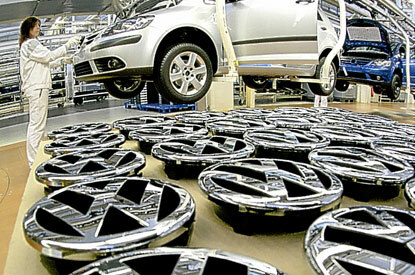 Germany has benefited enormously from Euro membership, taking advantage of an undervalued currency and low trade costs. Others have not been so fortunate, shackled with an over-valued currency and the withering of domestic industries. Can such adjustment and rebalancing be achieved? Can the Euro be sustained in the long run given the imbalances and limited mobility within its domain? Oh I wonder, I wonder…. Damned with austerity, damned if they don’t. What lies ahead is unclear… except a shortage of bacon. Despite the insane number of crazy news stories that 2011 has thrown at us, the column inches devoted to the Eurozone Crisis have proven surprisingly resilient over the course of the year. How has the mess developed and why is it going to be so difficult to resolve? (I should note here that I am heavily indebted to Dr. Christopher Bowdler, a tutor at Oxford University, for his absolutely brilliant lecture notes on this topic which have provided me with most of the theory outlined here). Let’s start at the beginning. 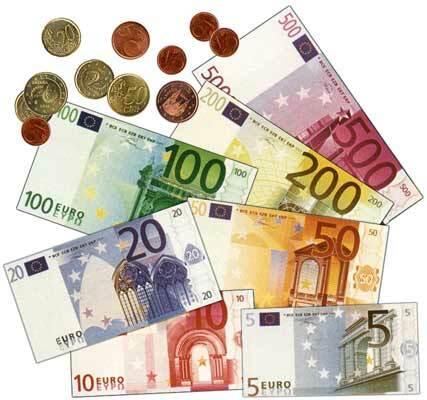 The Euro officially came into existence on 1st January 1999, with Greece joining the single currency in 2001. Concern over the size of certain member countries’ budget deficits started to develop in April 2009, with France, Greece, Ireland and Spain all ordered by the EU to reduce the size of their budget deficits. 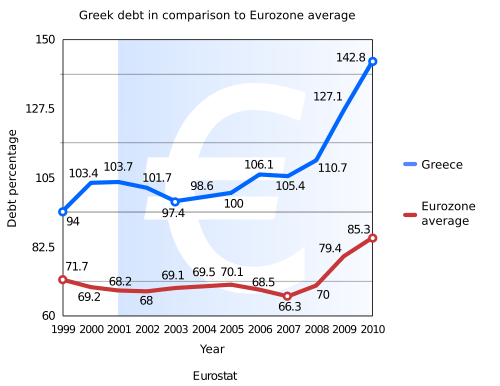 However, by December 2009 the Greek debt burden had risen to 113% of GDP. Not even a near miss of the Eurozone limit of a debt-to-GDP ratio of 60%. This led the ratings agencies, who give assets a grade depending on how ‘safe’ they are perceived to be, to start downgrading Greek debt. Things were only to get worse. At the start of 2010, Greek accounting (ahem) “irregularities” were discovered, resulting in the size of their budget deficit being substantially upward revised, from 3.7% of GDP to 12.1%. This was almost four times the maximum allowed by EU rules. 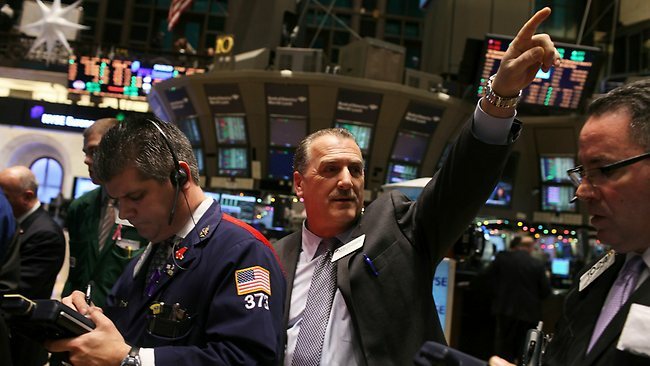 The market started to get really worried about the country’s ability to pay its debt. It wasn’t so confident about the other countries mentioned above either. This led to rising interest rates on these countries’ government debt as the perceived likelihood of their default grew (see my first post for more on the mechanism). The Eurozone and IMF intervened offering financial support and loans to Greece and Ireland, and also Portugal by May 2011, conditional on the implementation of austerity measures. However, for Greece, it’s May 2010 110bn-euro package was still not sufficient to quell investor fears. This may have been due to the difficulty/slow speed at which Greece was implementing it’s announced fiscal tightening. Further speculation surrounding the long term viability of Greek membership of the Euro (or lack of it to be more precise) led to the need for further financial aid. In July 2011, a further 109bn-euro package was unveiled which was designed to (hopefully) resolve the Greek debt debacle and prevent the crisis from intensifying and spreading to other countries. This package included measures to increase the amount of time Greece would have to repay it’s debts, reduce the overall amount that it would have to pay back (a selective default…. the phrase “a rose by any other name would smell as sweet” comes to mind….maybe the language is too beautiful for this context though) and created a role for private sector involvement in the bailout. 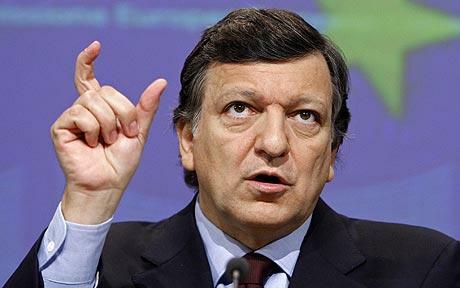 Despite initial rejoicing at the package, the storm quickly started to brew again with the EU President Jose Manuel Barroso admitting a few weeks ago that measures had not stopped the crisis from spreading. Italy, in addition to the PIGS, is now also the object of intense scrutiny and concern and the European Central Bank (ECB) has now agreed to buy Spanish and Italian bonds in an effort to reduce the interest rates that the market now demands. Last week, there were also rumours that France was the next to go under, with speculation over the possibility of a downgrade in it’s debt rating. Time to cue “Another One Bites The Dust”? So to sum up, a sizable portion of the Eurozone countries are in financial difficulty. A lot. Bailout packages have not yet been deemed sufficient to quell investor fears and speculation about the future of the single currency. Interest rates on EU government debt remain high, making the whole situation worse and potentially making an even more severe crisis self-fulfilling. Its not yet clear what the outcome of all of this will be. Everything just seems to be all over the place at the moment. So there’s the timeline. Now we can ask how this mess developed and why the Euro exists in the first place. Why would you want to join the Euro anyway? I mean, poor Estonia. Surely there must have been some pretty big plus points to joining for them to finally adopt the Euro this year. Talk about bad timing. The main arguments for joining the Euro concern the lowering of trade costs and reducing exchange rate uncertainty. The elimination of these costs could, in theory, allow faster growth and greater prosperity among European nations. The advantages of membership were seen as especially relevant to Greece and other southern European nations. Growth via exporting to high income nations in northern Europe was thought to be more easily achieved within the single currency and there was a belief that the exchange rate stability bought about by conversion to the Euro would help these countries achieve inflation and macroeconomic stability. Some thoughts on why things got Totally Out Of Control. We can break this down into two parts. First, what factors contributed to the huge growth in debt to GDP ratios among certain Eurozone countries. Second, how did membership of the Euro make stabilisation harder? Government debt in the countries in trouble is high. Very high. However, this was generally true even before they joined the Euro, partly because strong trade unions and political myopia in these countries contributed to sizable deficit bias. Global imbalances (more on this issue in the future) and the perception of Western macroeconomic stability resulted in very low borrowing costs prior to the financial crisis resulting in it being easy and cheap for governments to raise debt in line with GDP. However, membership of the Euro has been cited as an underlying cause of high debt levels. Euro membership was thought to have raised southern countries’ growth rates permanently through the advantages above, implying a higher sustainable debt level, and also prevents currency devaluation facilitating cheaper borrowing. The second reason makes investing in these countries ‘safer’ as the value of one’s assets are more protected. Imagine I decided to invest all my money in Greece. Previously, the Greek government could have allowed the drachma to loose value relative to the pound, meaning that what I what I stood to get back from my investment would have been worth less in £ terms. I’d have been worse off and would have want some insurance, in the form of higher interest rates, to protect me from this. With only one currency, the control of which is largely beyond smaller countries, the risk of this currency devaluation is smaller, allowing borrowing rates to fall. Some have also pointed to the moral hazard arising in currency unions. This is a term you might have heard in connection to the banking crisis. Moral hazard refers to a situation where my incentives to act change after we put our names to some contract. Note that this contract could be implicit– it doesn’t need to be written down, just implied. Membership of a single currency creates an incentive to, or at least removes a disincentive to not, relax about the whole fiscal responsibility thing. Membership creates a presumption (an implicit contract) that a country will be bailed out if they run into trouble with their finances because there is a strong common interest in action which preserves the viability of the Euro. This implicit promise reduced the incentive for Greece to take action to reduce its budget deficit and also lowered the risk to investors, as they knew they would get their money back, making borrowing cheap and easy for countries for whom it really shouldn’t have been. There are some significant constraints imposed by being a member of a single currency. These constraints have played a role in the current mess as European government’s have been less able to buffer their economies against the financial crisis. So how did Euro membership hinder stabilisation? (1) Countries have lost the ability to change interest rates to manipulate their economies. They have no individual control over their monetary policy. Thus any stabilisation must be done via changes in tax and government spending BUT at the moment there is no way that investors would accept these countries initiating a widening of their budget deficits. So, there is little the government can do to help ease the pain. In fact, all the countries in trouble are having to implement harsh austerity measures to get their borrowing costs under control. The Irish Republic passed the toughest budget in the country’s history and the Greek Parliament has also passed severe austerity measures. On Friday, Italy announced further tightening in an attempt to balance the government budget by 2013. Bailout finance has also been made conditional on promises to get debt positions under control. So, what we’re seeing are huge fiscal tightening’s across large swaths of Europe. (2) With only one currency, nominal exchange rate movements between member countries have not occurred to help rebalance things. Other things equal, one would expect austerity measures and low demand in one country to result in a depreciation of their nominal exchange rate. This acts to makes exports cheaper, boosting their demand and helping to buffer the fall in government spending. Nominal exchange rate depreciation has been an important buffering influence in the UK. Sterling has depreciated by around 20% against the Euro over the last 3 years. The fact that these movements cannot occur quickly means that these countries are hit especially hard, probably harder than the UK, by the onset of austerity measures. What’s next? Oh, if only someone knew! The outlook is not looking good to say the least. It remains uncertain whether the current bailout packages will be sufficient to impart just a degree of calmness in the markets or will even achieve the desired aims. 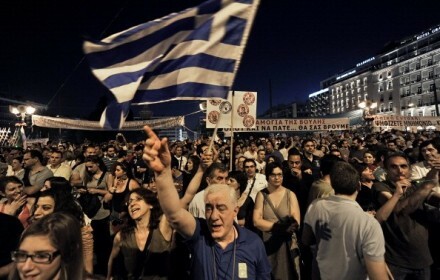 Greece does appear to be fundamentally insolvent. It is unclear that the state will be able to implement the austerity measures required by the IMF and EU given the widespread social unrest and their sheer scale appears unachievable to me. Further, considering the importance of intracontinental aspects adds some more issues to ponder over. Harsh austerity policy in one country has impacts on others through the trade (export markets dry up) and the financial system (banks and institutions in other European countries will be exposed to their neighbours’ private and government debt and thus defaults in one country directly impose losses on banks in other countries), acting to intensify the slowdown in growth across the region. Thus, it seems to me that the degree of austerity required to quell market fears may actually end up bringing down other countries and thus not get us anywhere closer to a better place. Basically, I have no idea what the hell is the best way forward. The PIGS are damned with austerity, damned if they don’t. Whatever happens, there will be a transfer of wealth within European countries towards the slower growing, heavily indebted nations either through explicit bailout packages or through the consequences of their default as banks in other countries hold PIGS government debt. In my opinion, the Euro will not survive in the long term. I have no idea how an exit from the Euro will occur, or what its ultimate impact will be. I just can’t see how the union can stay a union without integration of EU fiscal policy and I don’t think there’s a strong enough European identity for people to be ready to do that. The Economist looked at the states in America which corresponded to the PIGS in Europe. There, huge internal transfers of wealth take place between states and this is possible because of a common fiscal framework and popular support which I take to be grounded in the commonality of values and national identity. Neither of these things are forthcoming in the Eurozone. Also, I don’t think that only ‘a few’ of those in trouble could exit as once outside the union their currencies could devalue, making them more competitive and making it worse for those troubled nations who stuck with the Euro. All or nothing? There’s the background. No bloody idea what’s going to happen with this one to be honest. Hopefully though this has helped you to understand the background behind the news stories! Let’s see what happens this week……..